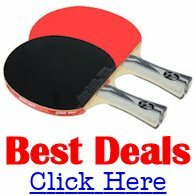 Can I switch a ball or a racket (paddle) during a game or a match? 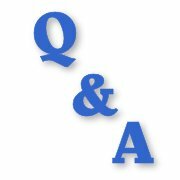 It depends on the event you are taking part in, and what rules and regulations are being used. 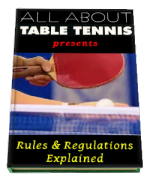 Lower-level events, such as local leagues and local competitions will normally be using just the "basic" rules - or to give them their correct name the "Laws of Table Tennis". "Before the start of a match and whenever he or she changes his or her racket during a match a player shall show his or her opponent and the umpire the racket he or she is about to use and shall allow them to examine it." So as long as you show your new racket (also known as a paddle) to your opponent before you use it, you can change it during a game or match. The are no "Laws" about changing the ball. Generally, a ball will only be changed if both players agree that it is damaged or unsuitable. However, if you are taking part in higher-level events such as regional, national or international competitions, you will probably be using the additional Regulations as well. "A racket shall not be replaced during an individual match unless it is accidentally damaged so badly that it cannot be used; if this happens the damaged racket shall be replaced immediately by another which the player has brought with him or her to the playing area or one which is handed to him or her in the playing area." So a racket (also known as a paddle) can only be changed if it is accidentally damaged so badly that it cannot be used. Not for any other reason. "Wherever possible players shall be given the opportunity to choose one or more balls before coming to the playing area and the match shall be played with the ball chosen by the players." "If a ball is damaged during a match, it shall be replaced by another of those chosen before the match"
A ball will normally only be changed if both players, and the umpire, agree that it is damaged or unsuitable. In 2018, some International events started experimenting with using a "multi-ball" system. This meant that if the ball went to the back of the court at the end of a point, the umpire would give the server another ball and the previous ball would be picked up by a person at the back of the court. At the end of each game, all the balls would be returned to the umpire and used in the next game.